Prepare a snack or a full meal with help from the Magic Chef 1.1 cu. ft. Countertop Microwave. Offering 1,000 watts of power and 10 power levels, along with five auto-cook settings, this easy-to-use oven helps you quickly heat a variety of foods. The auto-defrost feature makes selecting the proper defrosting time and power level simple, while choosing optimal cook time is made easy with the five included auto-cook settings! 2.0 cu. ft. Counter Top Microwave Oven with NeoChef Smart Inverter in Stainless Steel Cleaning Made Simple, Spills? Splatters? Don't sweat it. LG's EasyClean interior, assisted by Anti-Bacterial Coating, resists stains and buildup, so cleaning your microwave doesn't have to be a chore. Simply wipe with a damp cloth no chemicals, no scrubbing, no problem. Sleek and Practical Design Intuitive SmoothTouch glass controls not only look sleek but makes operating your range a snap with just a touch of your finger. Best of all they have been designed with practicality in mind the smooth surface easily wipes clean. Enlightened Cooking Bright LED lighting makes it easy to check on the progress of your food while offering greater energy efficiency than traditional lighting. 2.0 cu. ft. Counter Top Microwave Oven with NeoChef Smart Inverter in Stainless Steel is rated 4.6 out of 5 by 597. Rated 1 out of 5 by LBS from Purchased this unit in Nov 2017. After 12 months microwave intermittently stopped working. Marc... Purchased this unit in Nov 2017. After 12 months microwave intermittently stopped working. March 2019, it works 2% of the time. LG customer service told me to take it to service center because warrenty had expired. Our previous previous microwave lasted 15 years. This microwave is unreliable and I do NOT recommend purchasing this product. Rated 5 out of 5 by Dorothy from It is bigger than I realized, but that is a good thing. I can cook multi dishes ar the same time... It is bigger than I realized, but that is a good thing. I can cook multi dishes ar the same time. It is very light weight for the size. Rated 5 out of 5 by Judd from Excellent microwave. Really enjoy the large cooking chamber. Wont ever buy anything smaller. Woul... Excellent microwave. Really enjoy the large cooking chamber. Wont ever buy anything smaller. Would definitely recommend this to anyone looking for a new microwave. Really love LG products. Rated 1 out of 5 by ColdMicrowaver from After a year and a half, this unit has stopped heating altogether. The temperature sensor for au... After a year and a half, this unit has stopped heating altogether. The temperature sensor for automatic cooking never worked. The lights and timer and fan work, but no heat. I'm afraid it's too late to return to Home Depot, past the 1 year warranty (10 year magnetron) and now I'm going to have the inconvenience of dealing with LG's warranty service program. I'm not happy with the quality of this product at all. Also, the sounds the microwave plays are annoying. I think I'll be switching back to Panasonic. 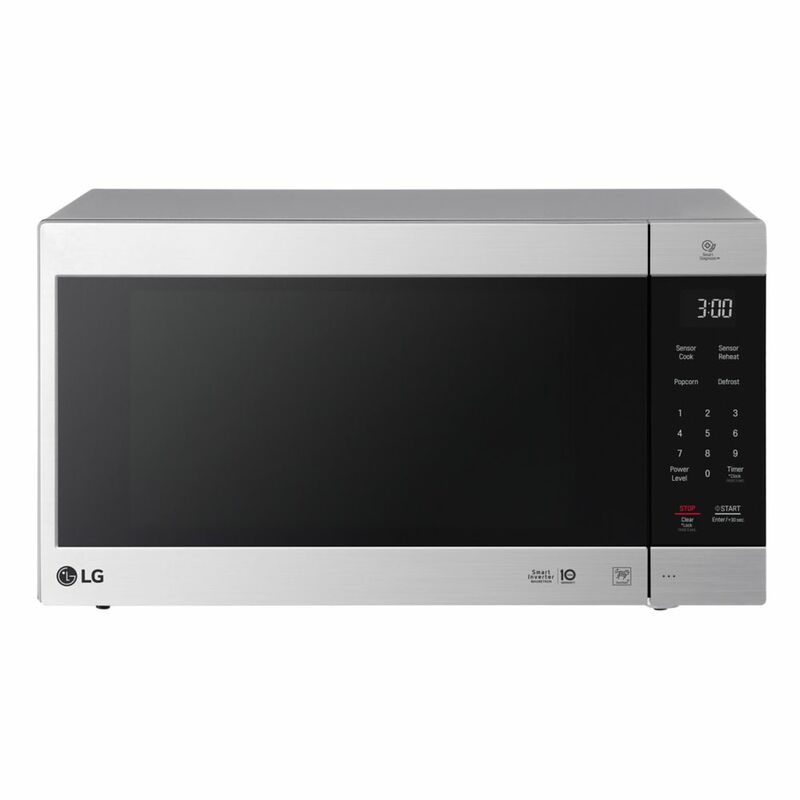 Just purchased the LMC2075ST Microwave. What is the model number of the associated trim kit that will work best. Thank you! I am looking to buy a LG LMC2075STwith TRIM KIT, but I was told I COULD NOT have this installed in my CUSTOM CABINET bc I had it made where the bottom of the TRIM KIT would sit 30&quot; from the floor. Does this microwave need to be 36&quot; from the floor. Can you mount this under a cabinet? We do not need a trim kit. Is there another brand of trim kit that would work with this microwave? GE,etc. I purchased an LCM2075ST microwave that sits over a 27&quot; single oven. Do you make a 27&quot; trim kit to go with this? All I could see was 30&quot;? ?